The procedure in this hub is broken down for those who have never cooked Collard Greens . But it can be used by anyone who is looking to add a different flavor to their dish. 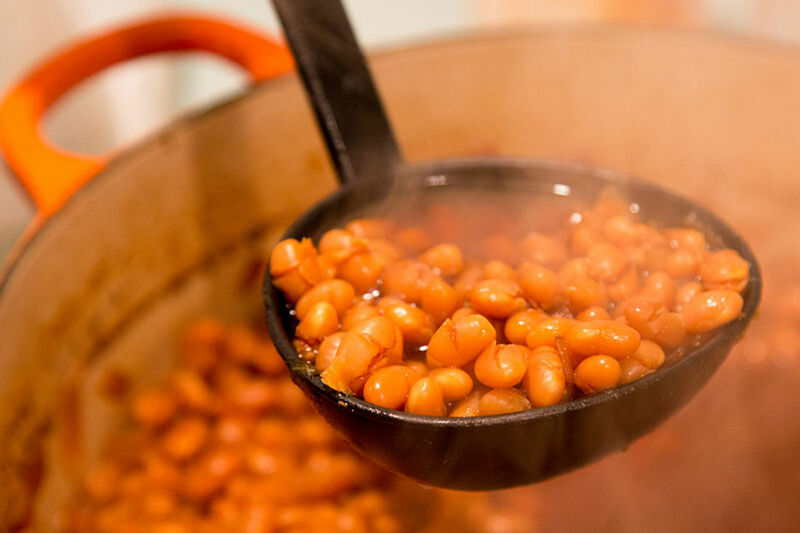 The cooking time can be adjusted by lowering or increasing the heat. I prefer to cook my greens at a medium pace. Just make sure you don't overcook greens. I also use baking soda to clean the greens. By rinsing the leaves before placing them in the pot, you will not taste the baking soda. If you prefer, just use water. 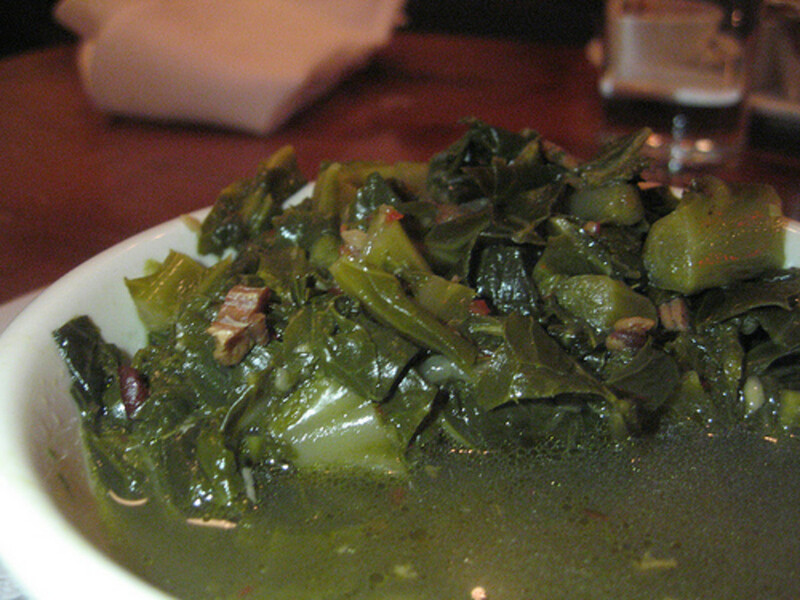 And although this is a collard green recipe, you can use the same recipe for kale. You can even add kale to this recipe along with the spinach. It took several tries to master the art of cooking greens. My very first pot tasted like wet paper. Now, my family craves my greens and friends who try them absolutely love them. 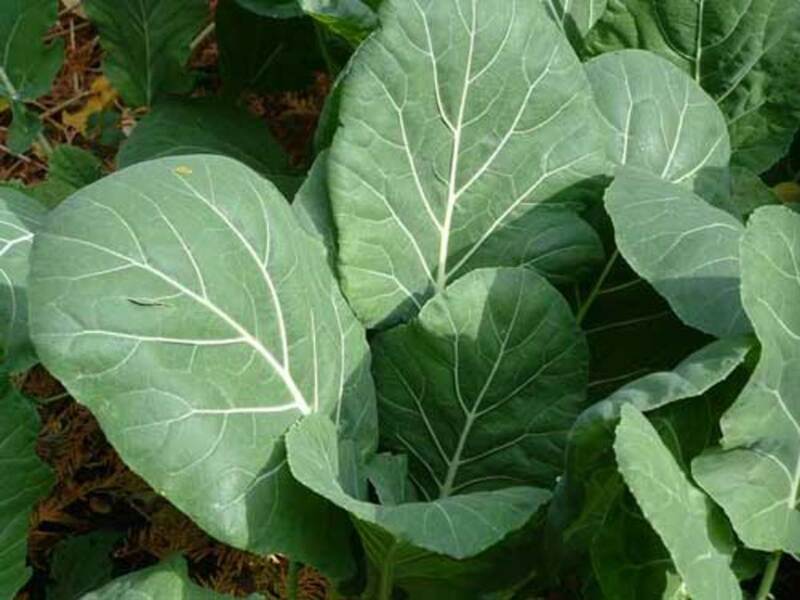 An excellent source of fiber, vitamin C and a host of other nutrients, collards can be served as a main or side dish. 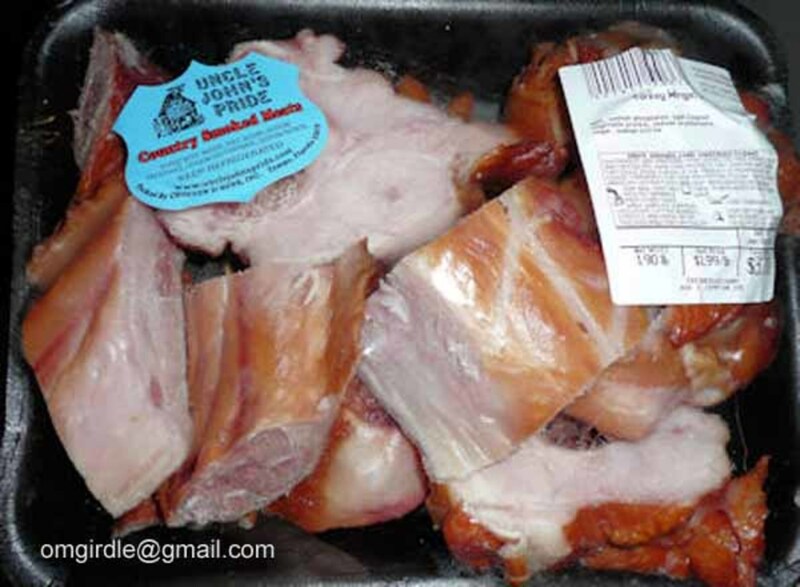 Since they are available year round, they can be cooked at any time. I generally start the preparation process the night before I cook. I like my greens to soak in baking soda overnight. However, feel free to adjust the preparation time according to your needs. 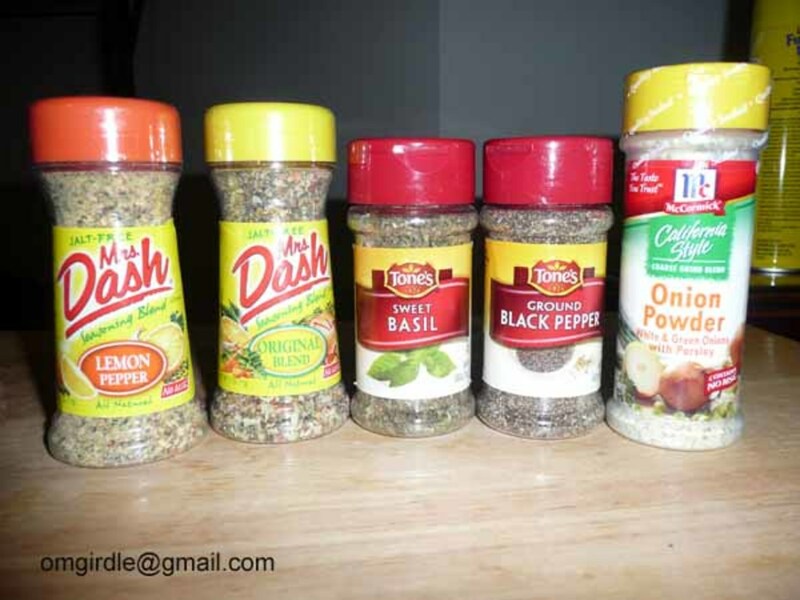 I use very little fat, no water, very little salt and onion powder as opposed to fresh cut onions. My children don't like onions but I highly suggest, if fresh onion doesn't both you, buy "Sweet Onions," dice them and use them in place of the powder. I also use spinach whenever I cook greens. Spinach adds healthy nutrients and a nice texture to the dish. I also never measure anything. Learning to cook from my dad and my godmother, they always said, just pour or shake it in, taste it and add more if you need to. I will therefore estimate the needed amounts. Everyone has their own tastes. I highly suggest "test tasting" as you go through the cooking process. 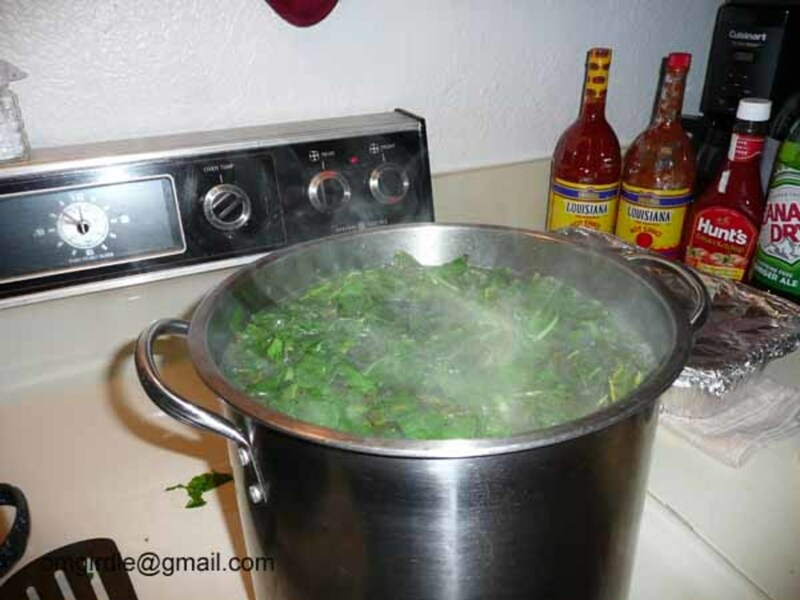 The pots I normally use are (2)12 quart stock pots to cook 12 bundles of collard greens and 4 bags of spinach. My family tends to come back for more after their "doggie bag" has been emptied. I also use single size contains to freeze them to eat at another time. 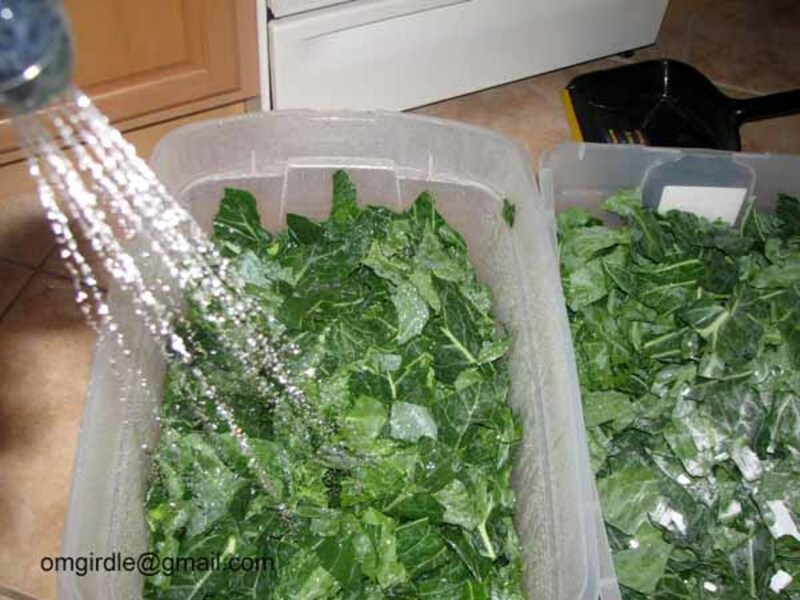 You will also notice, in the pictures, I use large plastic bins to soak my greens. That's only because I cook so many. The recipe below will use a 10 quart pot (although a larger pot is displayed). Feel free to adjust the recipe as needed for the amount of greens you are going to cook. One more fact about cooking greens. 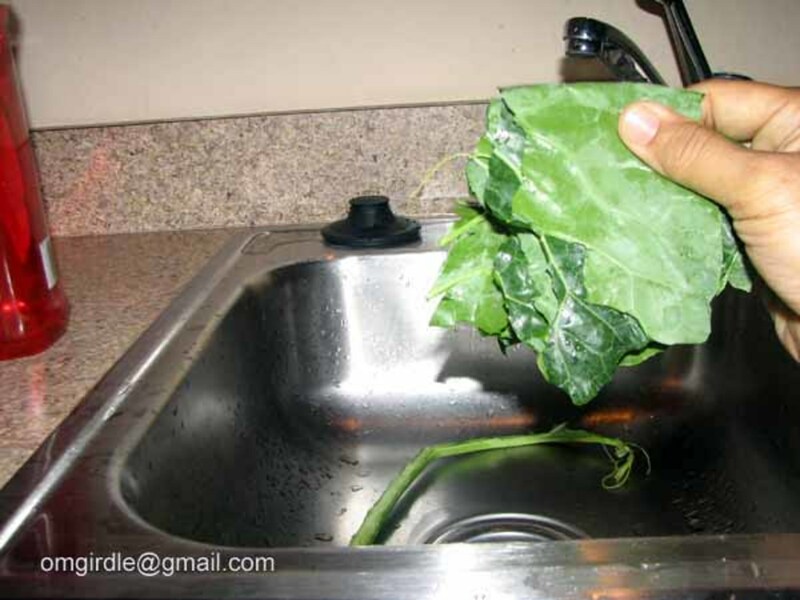 Collard and other greens shrink when cooking and generate their own water. 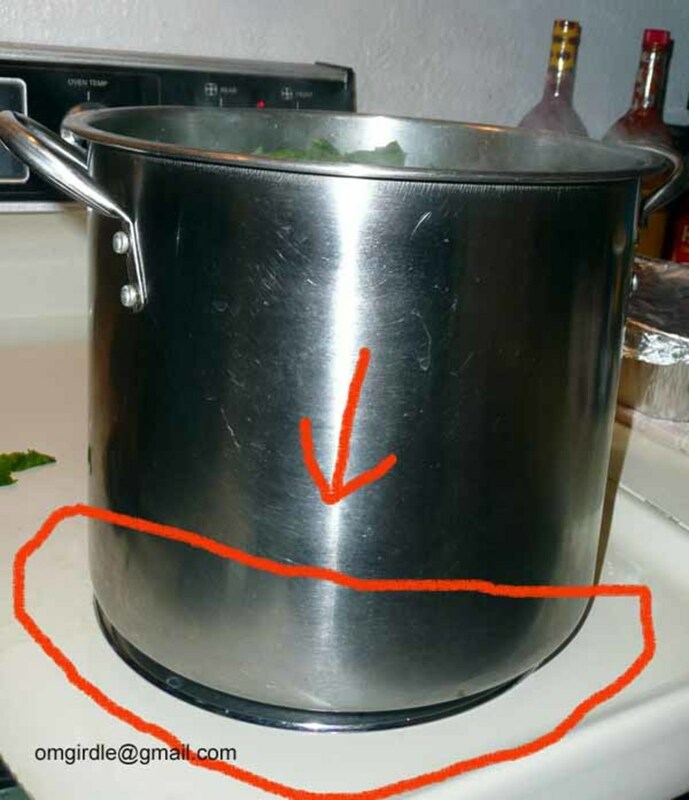 So there's no need to fill the pot with liquid. 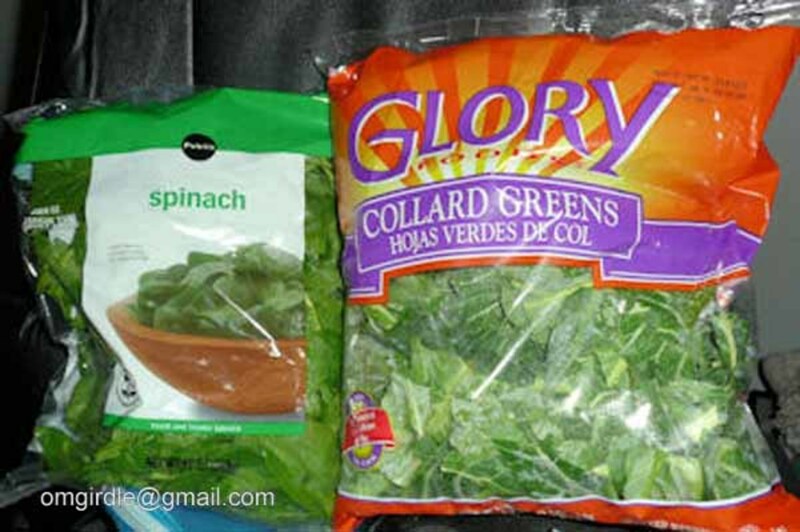 Found in the produce section, the advantage of buying fresh greens by bag lessens the preparation time. 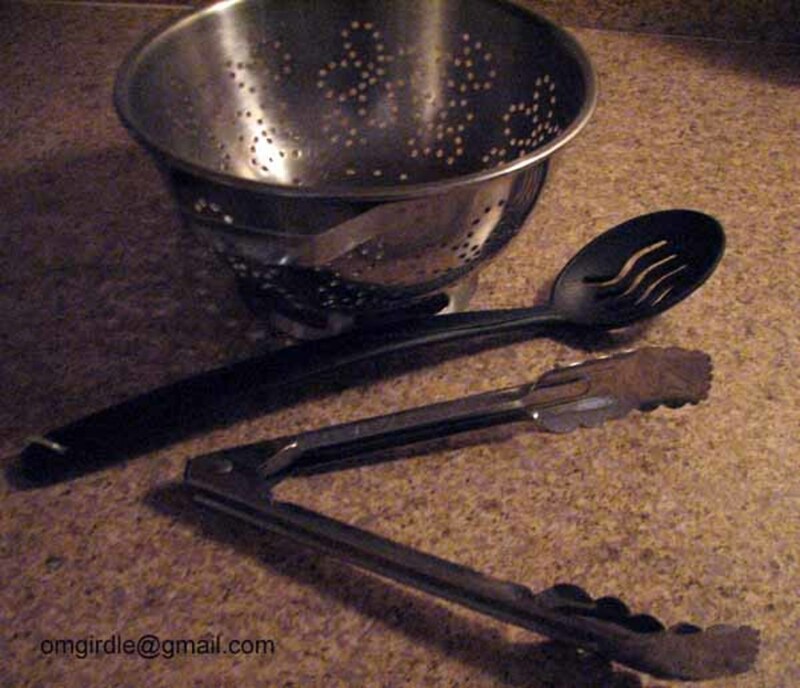 For my own reassurance, although the bag is labeled "pre-washed," I still use a colander or some type of strainer to rinse them just to be sure they are clean. From there, they can go straight into the cooking pot. The disadvantage to packaged greens is they are more expensive. You pay for processing and packaging. Also, the leaves in the bag have not been pulled from the stem. There's nothing wrong with cooking the stem, but the stems increases the cooking time. I also feel you get more greens in a bundle than in one bag. But if you are short on time or you just don't feel like doing all the extra work, fresh greens in the bag are your best choice. I do recommend buying fresh spinach in the bag. Greens, found in the Produce department, are usually bundled by a band and sold by the pound. As mentioned above, it's cheaper by the bundle than by the bag. You want to look at the bundle and make sure the steams are green and firm. The leaves should be green and stiff. Do not buy the bundle if the greens have holes in them. Holes are created by worms and other bugs. Be careful to look through the bundle as sometimes the outer leaves look nice and green but the inside leaves may be discolored and limp. Most stores rinse their greens to remove larger portions of the dirt. They are usually placed in the area of the Produce department under water misters. However, there are some stores who display their greens right after pulling them out of the ground. 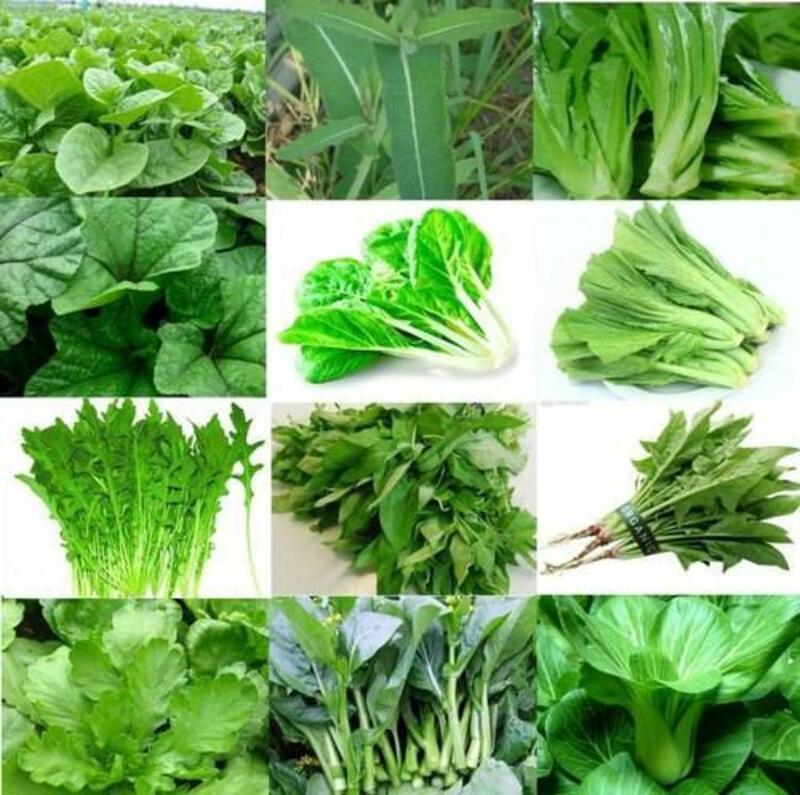 You do not want to buy really dirty greens as you will have to spend more time cleaning them. There has only been one time when I found a worm in the bundle. That was back in the 80's. They seem to be much cleaner now. SPRINKLE WITH BAKING SODA AND FILL CONTAINER WITH COLD WATER. Unwrap the bundle and take one leaf at a time. Thoroughly, massage both sides of the leaf with your fingers under cool running water. This process allows your fingers to brush off any remaining dirt. After rinsing, tear one side of the leaf off the stem and then the other. 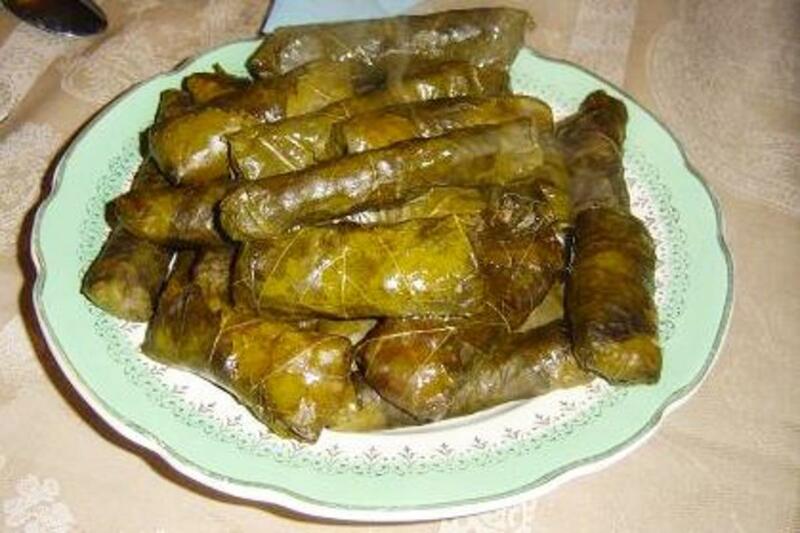 Tear or cut, the leaf into large bite size pieces. Place those pieces in another sink or container which will be used for soaking Continue to break down all the bundles by repeating this process. 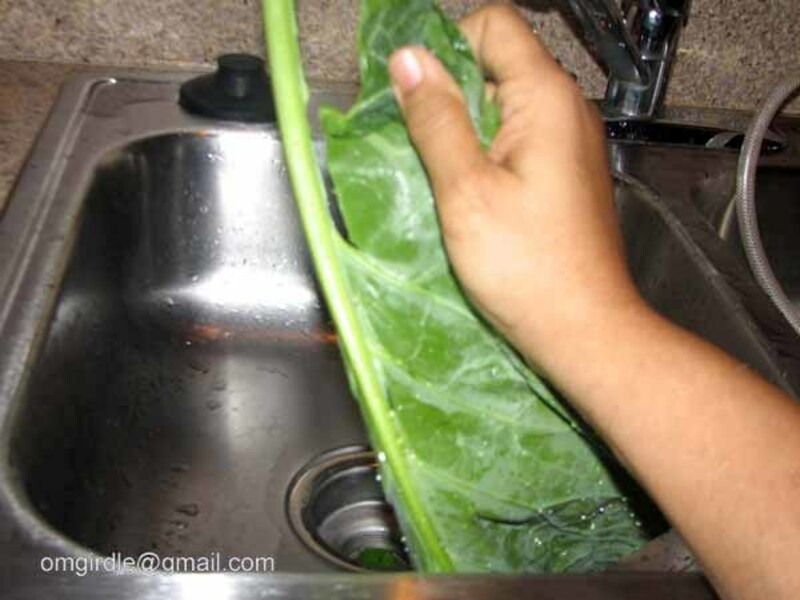 Once you have finished rinsing and tearing the leaves, sprinkle, at least, 2 table spoons of baking soda over the greens and fill the sink/container with cold water. You want enough water to cover the greens. Let it sit for a couple of hours or even overnight. BRING PARTIALLY COOKED GREENS UP FROM THE BOTTOM WHILE ADDING MORE GREENS TO POT. 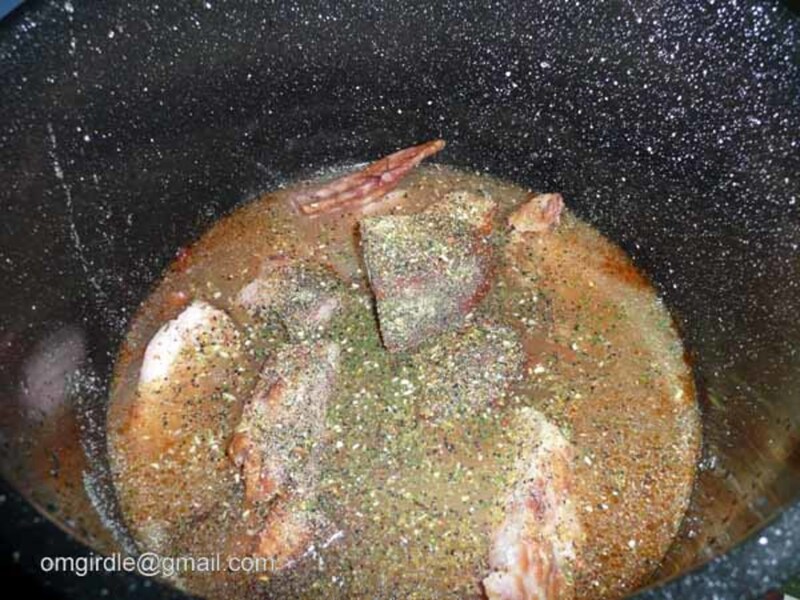 Let boil for 5 minutes to blend the seasonings. 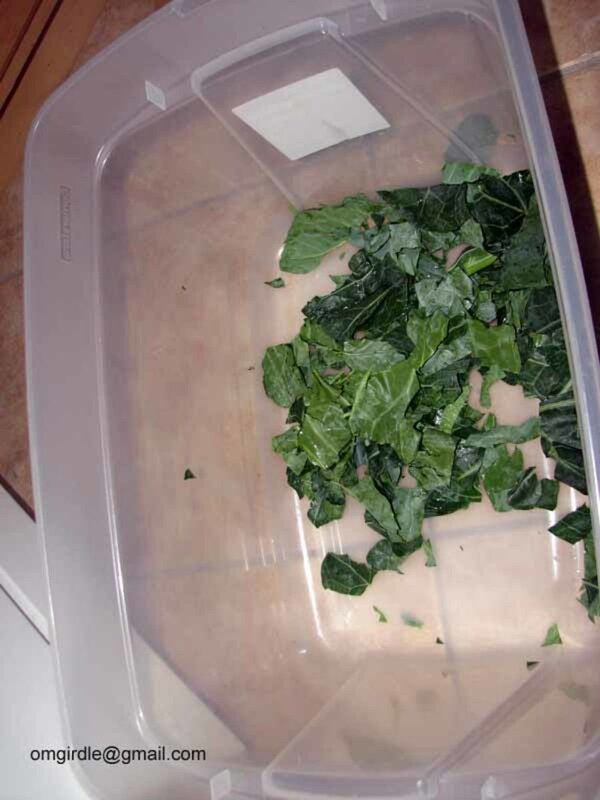 Deposit a handful of greens from soaking area into colander. Rinse greens with cold water. Let the water drain then place greens in pot. Continue this process until the greens in the pot are almost full or you run out of greens. Leave about 1 inch from the top to give you room to shift the greens as they cook. 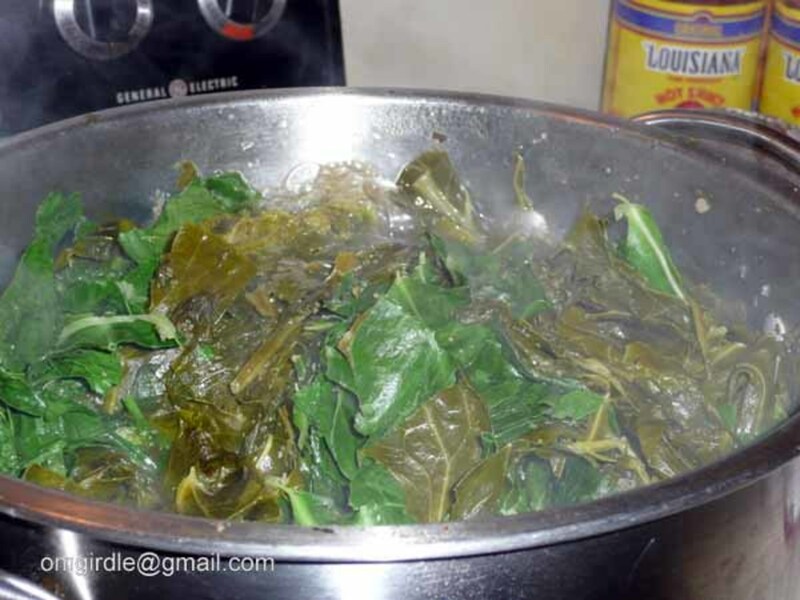 If you have more greens in the soaking area, you will add a handful each time the greens cook down. Don't forget to rinse and drain first. Use the tongs to pull the partially cooked greens from the bottom of the pot to the top. This will allow greens to cook evenly. Cover pot and let them cook. Check pot every 15 minutes continuing to shuffle the contents using the tongs or spoon. As you toss the greens, feel free to add more salad dressing or any of the other ingredients. The dressing, juice and broth promote a tasty flavor. 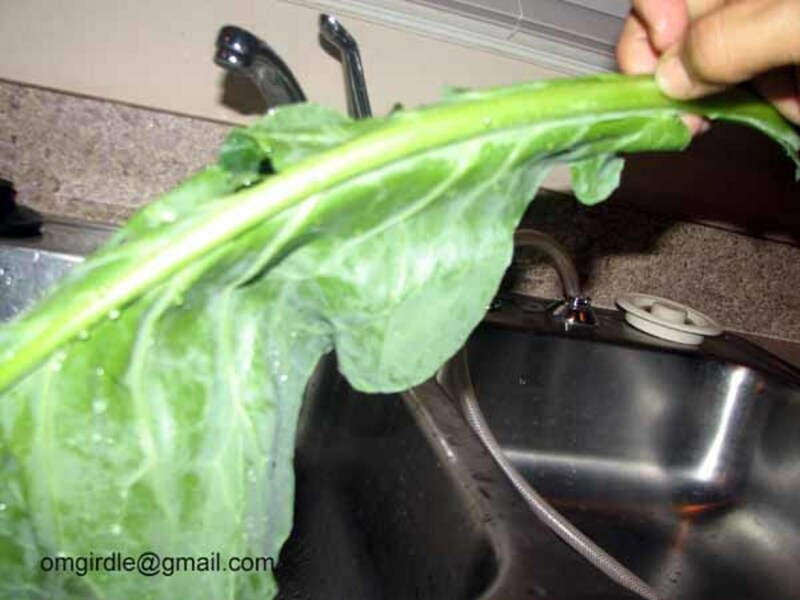 An hour and a half after your greens have been cooking, rinse and drain the spinach using the colander. Add spinach to the pot shifting the greens allowing the spinach. The turkey wings will have started to separate into smaller pieces by now. Continue to cook with lid on and shift the greens every 15 minutes for about 45 minutes to an hour. 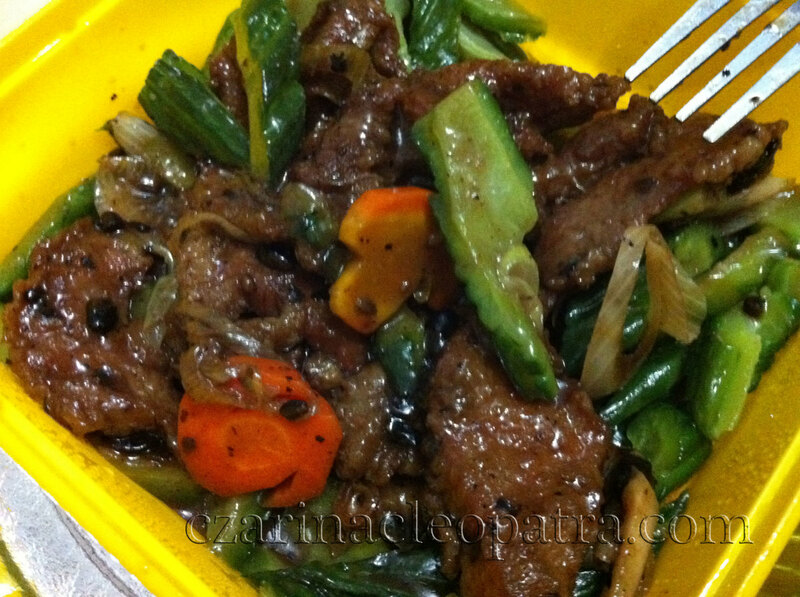 "Taste-test" to ensure the greens are flavored and tender to your liking. Cooking time will depend on your tastes for the consistency. Some people like their greens a bit more firm than others. Adjust the cooking time to your preference. Greens are welcomed in different consistency. Some people like them a little tough while others prefer them soft to the palate. You be the judge. I always have other people in the house taste-test as well. They should have a dark green color, as pictured, and easy to chew. Once they are done, either let them sit until you are ready to serve or put them in a serving dish. Do not pour out the juice from the greens. Soaking in the juice will maintain the flavor. It is also healthy to include the juice while eating as many the juice contains many of the nutrients. 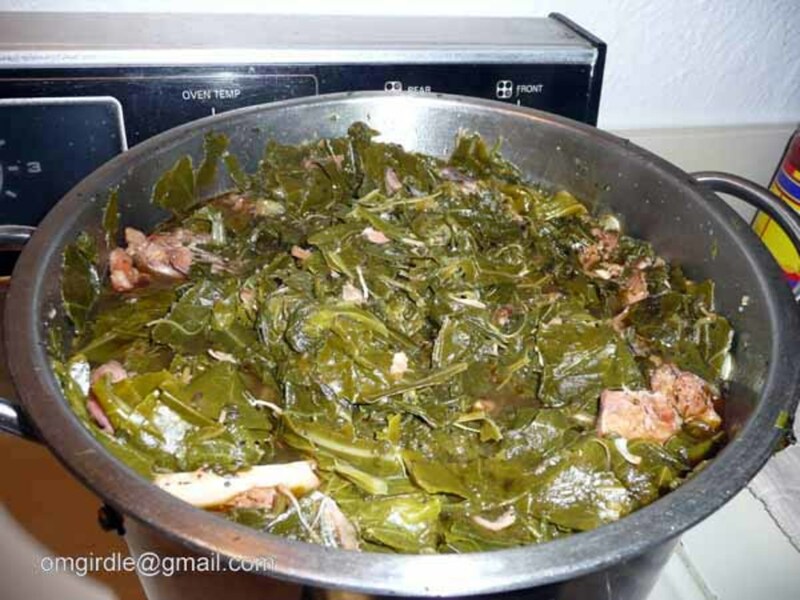 This Thanksgiving, I'm going to measure and watch my cooking time when I cook the collards. So stand by any adjustments to this recipe. My greens turned out just as delicious as they had before. NOTE: If you notice the liquid is dissipating as the greens cook down, use apple juice to increase the liquid. While cooking I added a few more spices but I mainly used the soup, salad dressing and apple juices to create the flavor of the greens. I never pour water in my greens. I don't want to dilute the taste. And remember, you can use any dry spices you wish to use. The amount of the ingredients depends on how much you are cooking. @vocalcoach: Thank you for your comment. Cooking them with substitutes for water really makes them flavorful. @rebeccamealey: Thank you for taking the time to read and comment. 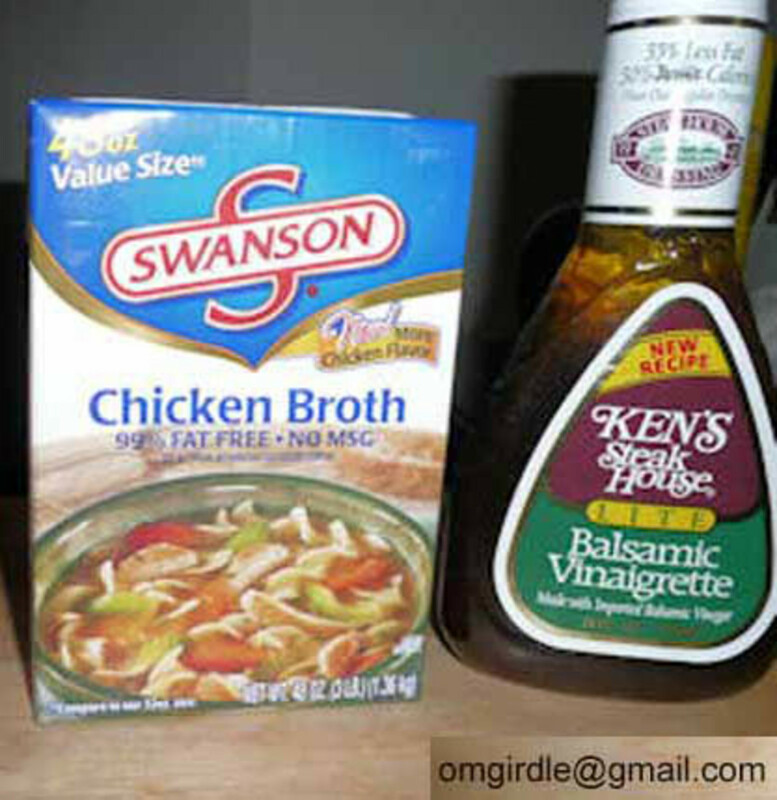 @sgbrown: Substituting water for juice/soup/salad dressing works with all kinds of vegetables. My grandsons love my broccoli. I use pineapple juice in a saucepan instead of drowning them in water. Thank you for your comment and voting. @all Your time is very much appreciated! Thanks for the tips on cooking delicious greens! Wow! I'm pinning this wonderful, informative recipe on my 'healthy eating' board. I've wanted to try 'greens' for so long. Now with all of your useful information I can. Thank you so much. Voted up, 5 stars, awesome and sharing. Thank you for the comment Beth. What a good idea for a hub. Cooked greens are so good. Wow, you put down every little details we should watch out as we prepare this dish. Very helpful indeed ! Voted up. Thanks! It's good to know that it isn't absolutely required to use the baking soda. Of course, as you mention in your hub, another option is to just buy the pre-packaged collard greens. They still need to be washed, but maybe with less need for the baking soda. Thank you for the feed back. My godmother told me it helps to clean them. However greens are sold much cleaner these days as opposed to when she used to cook them. So it's optional. But I've been doing it ever since she told me about the backing soda. Very informative and helpful hub. 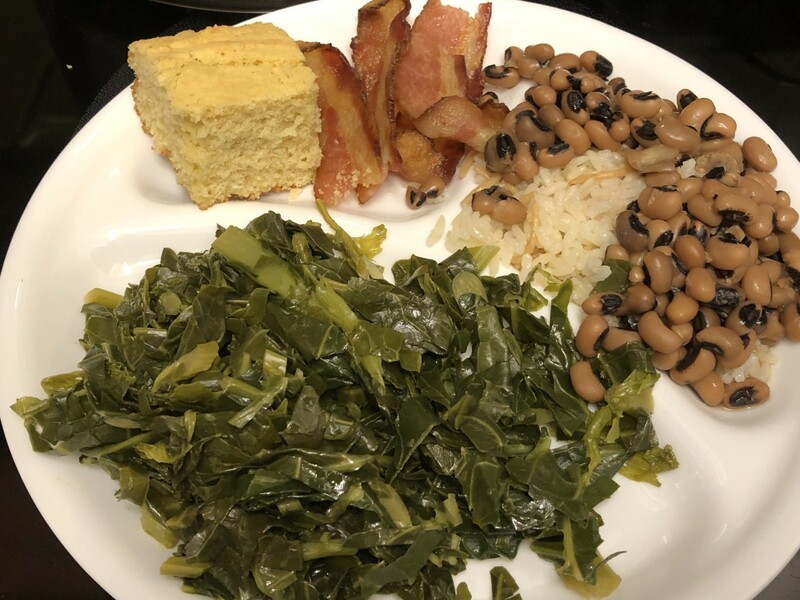 I always see collard greens in the grocery store and know that they're supposed to be very good for you. I've never bought any, however, because I had no idea how to cook them. 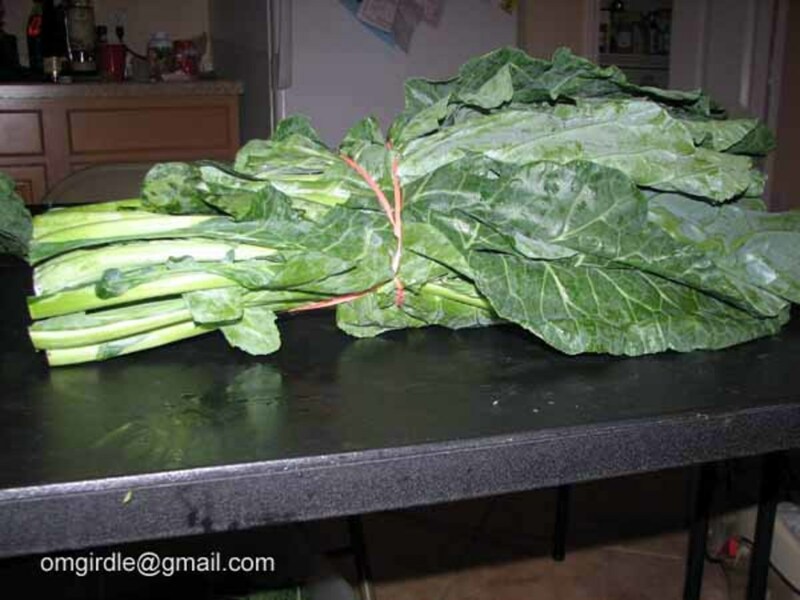 Thanks to your hub, I now have a place to begin experimenting with cooking collard greens. One question: why do you need to soak them with baking soda for at least a couple of hours? What does that do?